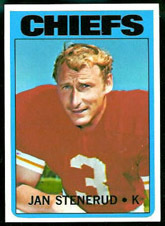 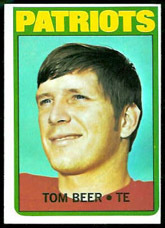 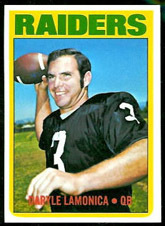 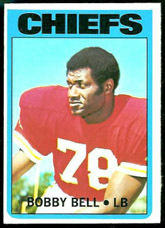 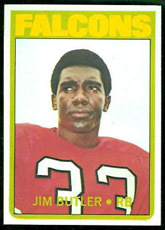 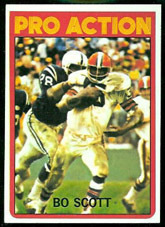 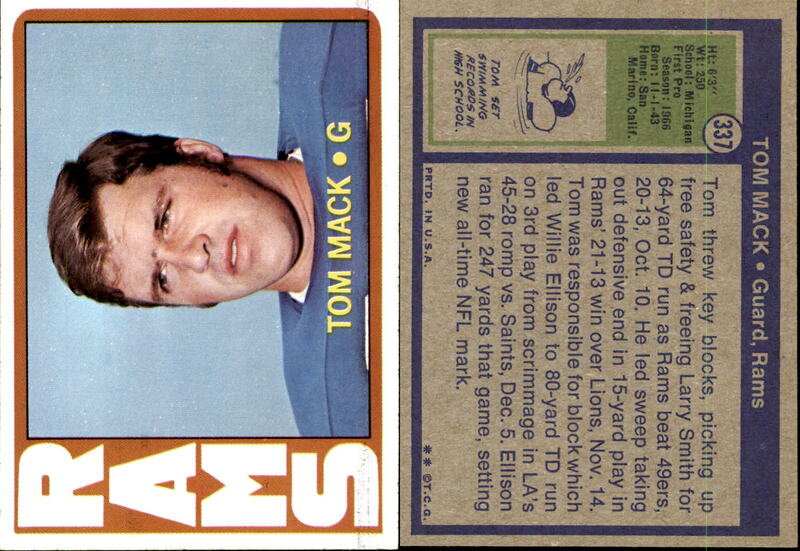 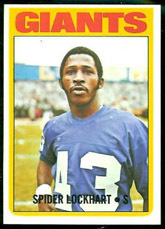 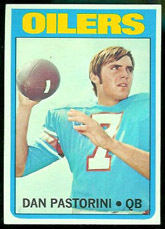 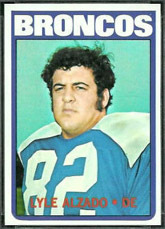 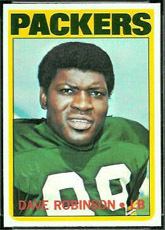 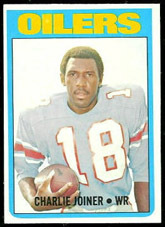 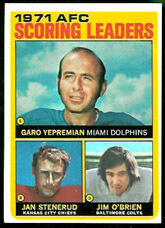 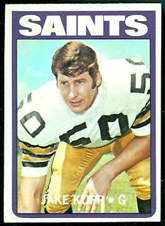 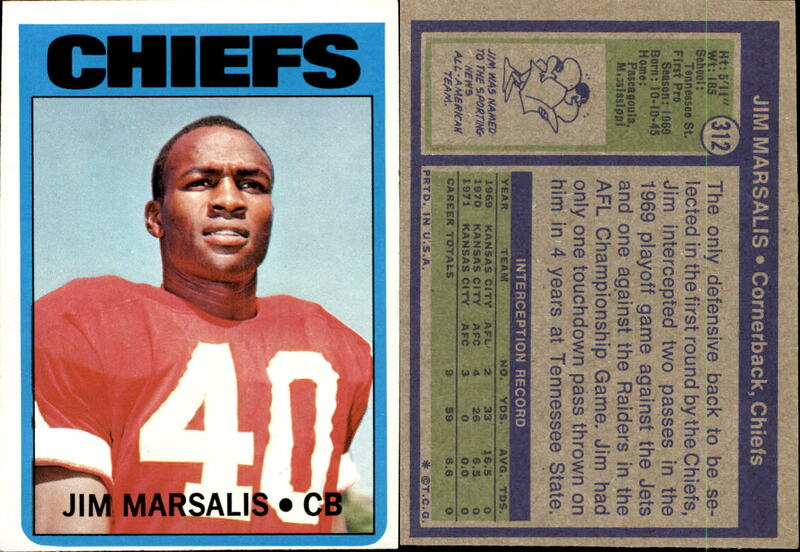 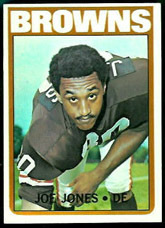 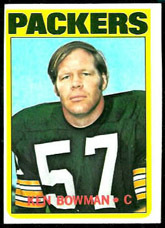 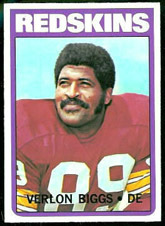 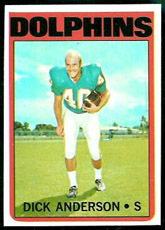 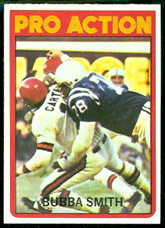 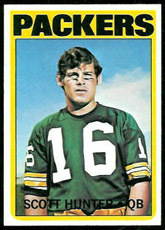 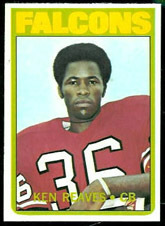 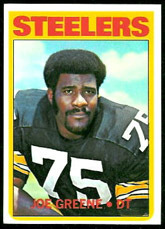 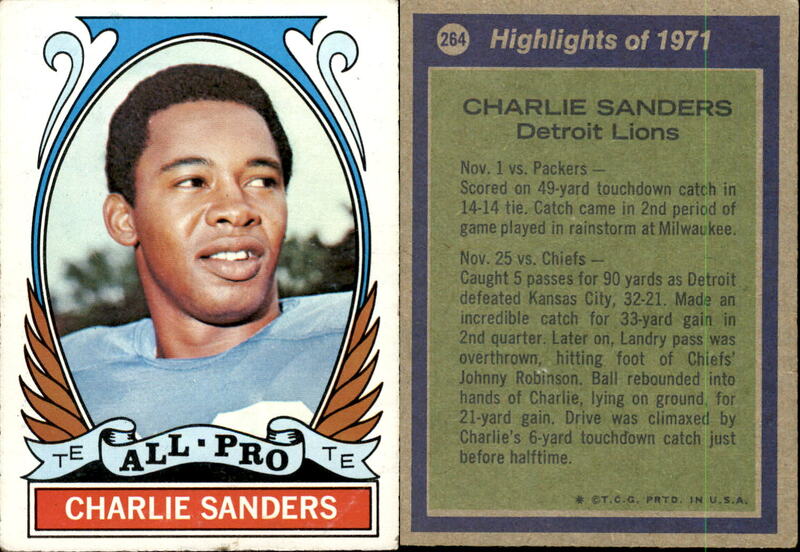 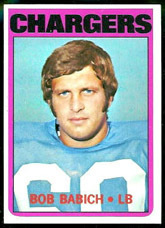 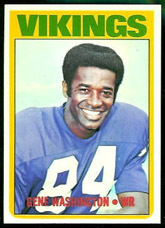 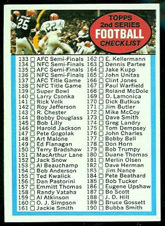 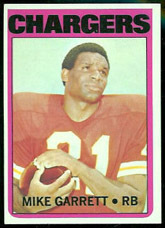 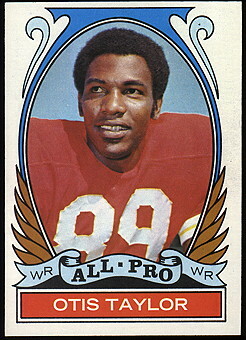 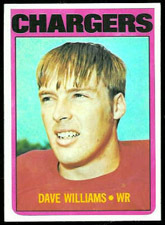 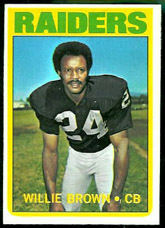 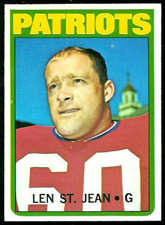 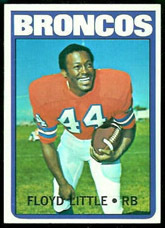 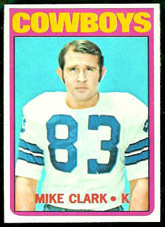 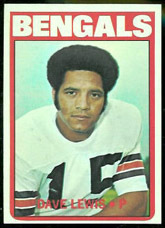 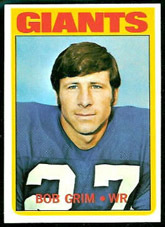 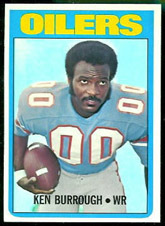 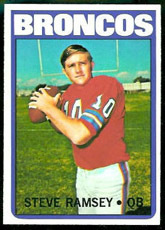 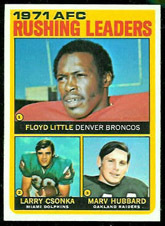 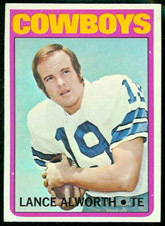 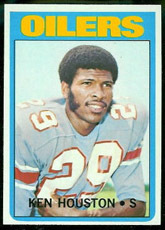 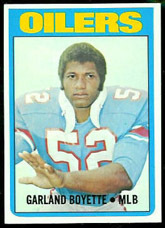 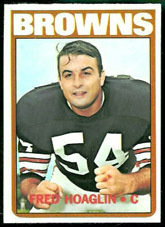 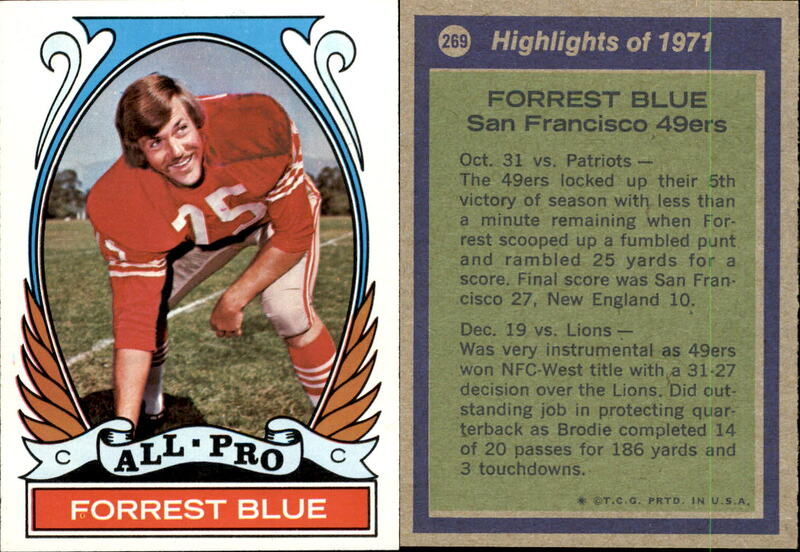 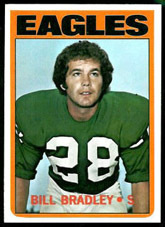 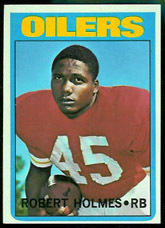 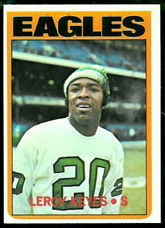 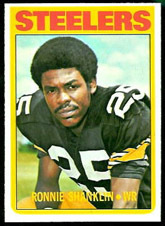 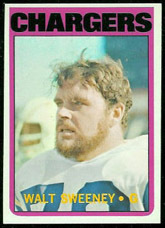 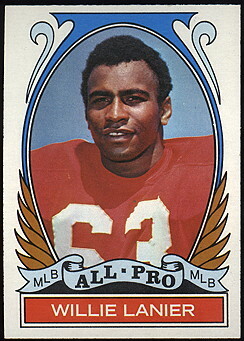 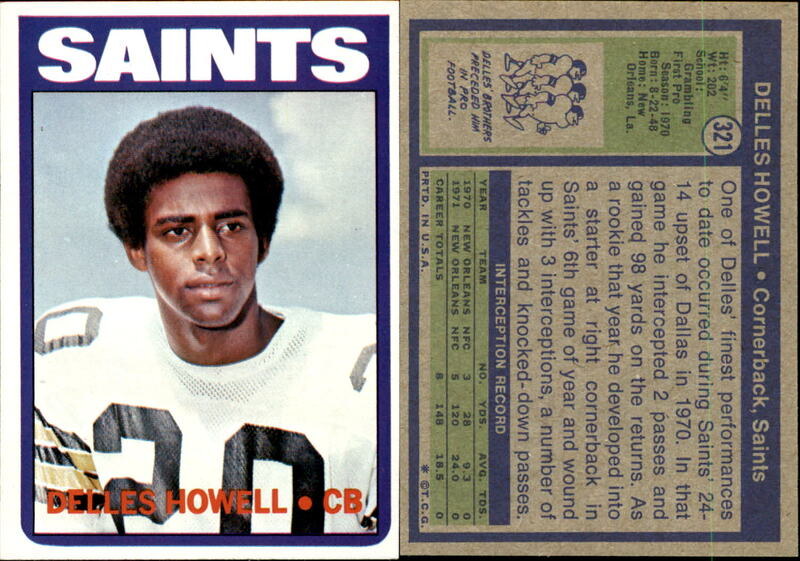 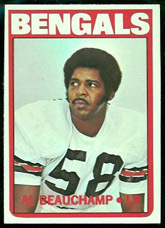 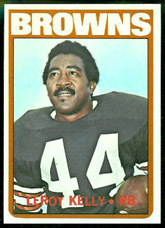 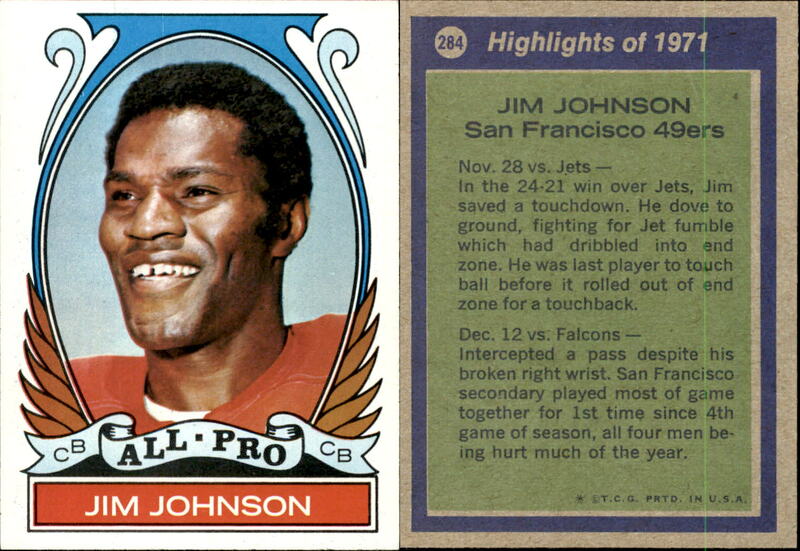 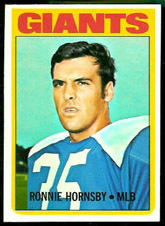 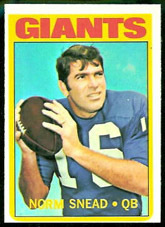 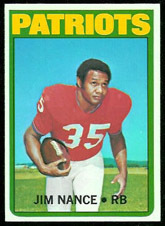 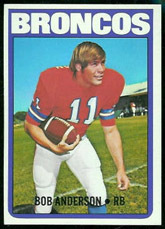 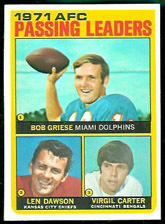 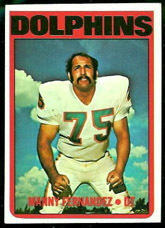 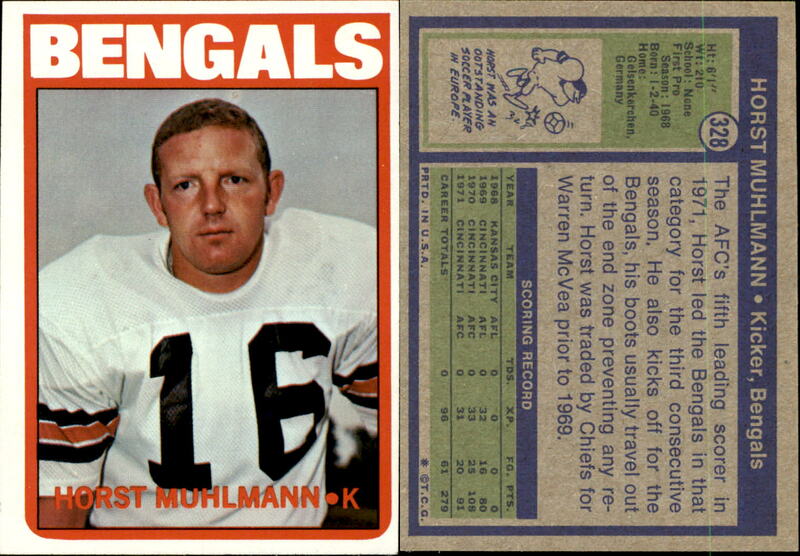 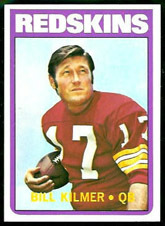 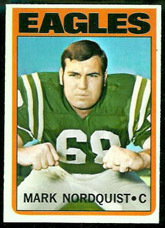 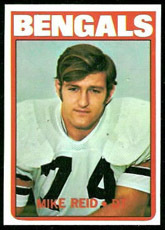 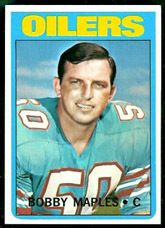 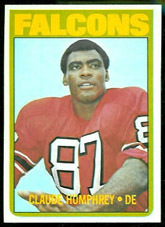 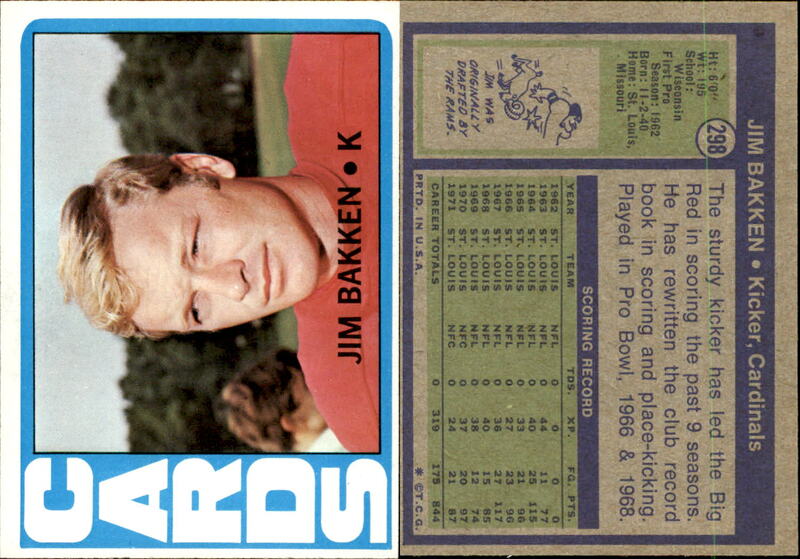 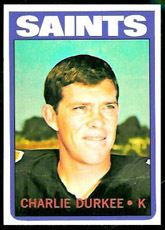 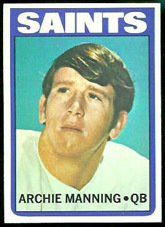 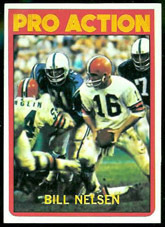 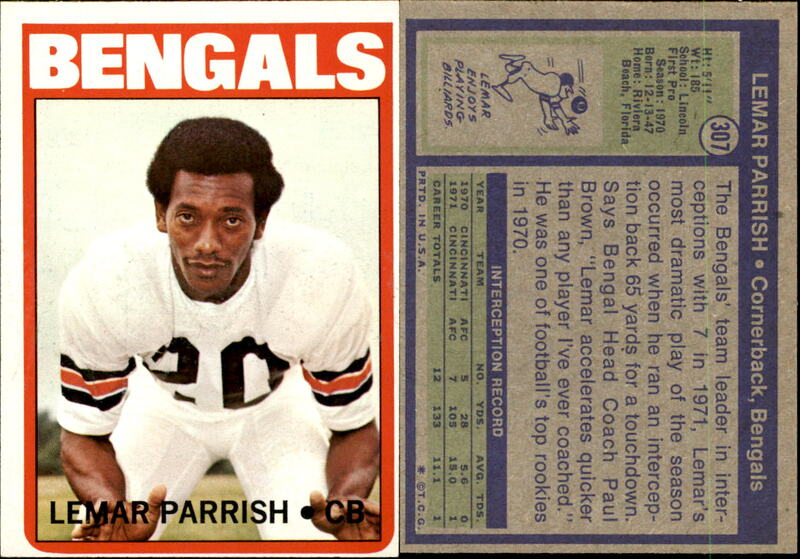 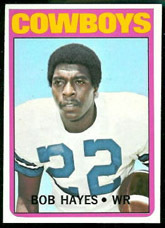 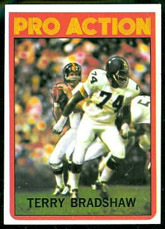 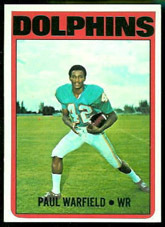 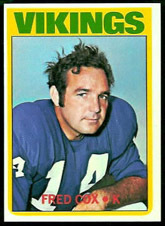 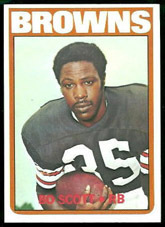 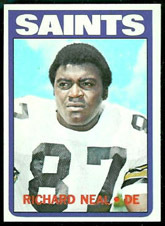 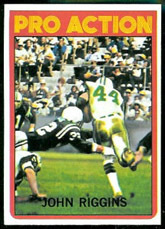 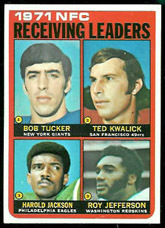 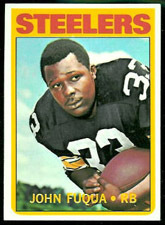 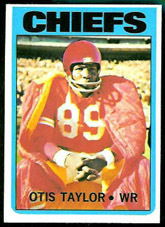 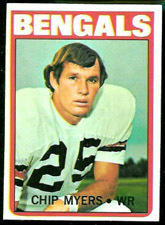 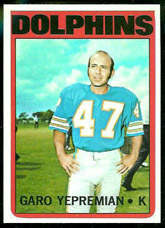 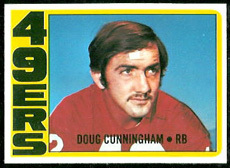 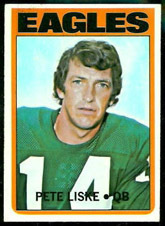 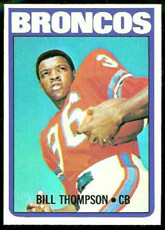 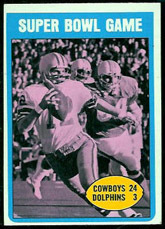 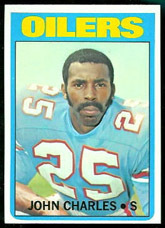 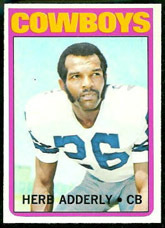 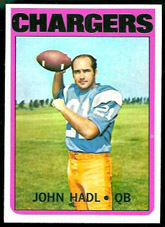 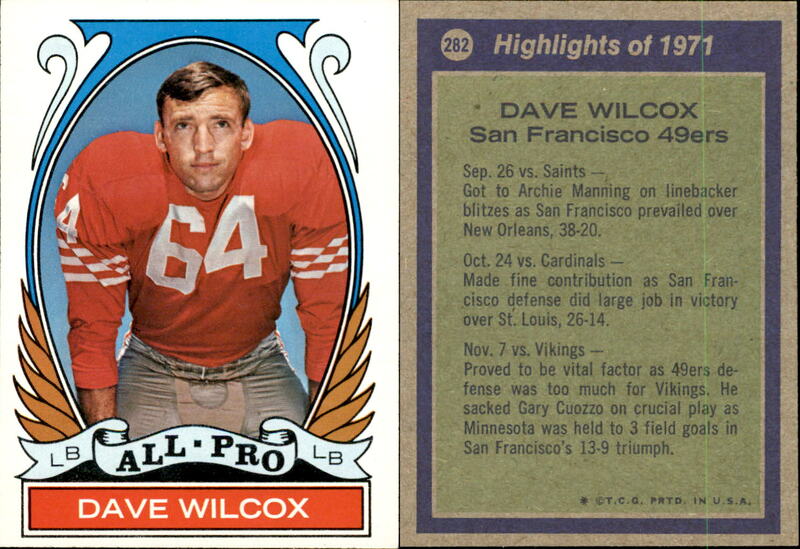 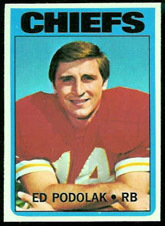 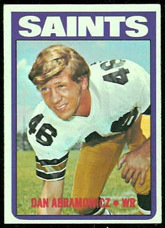 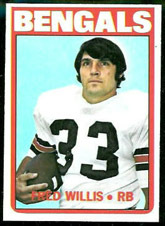 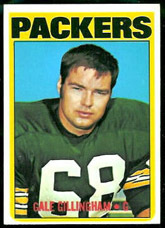 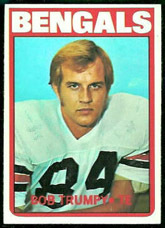 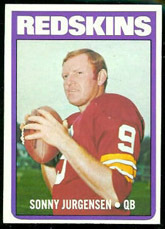 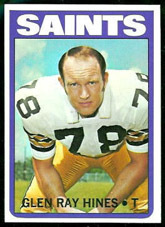 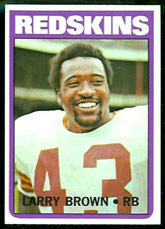 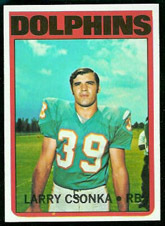 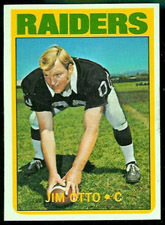 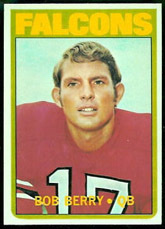 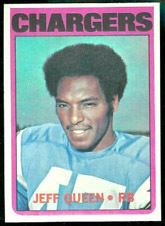 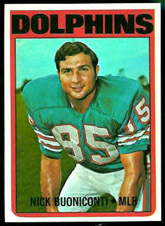 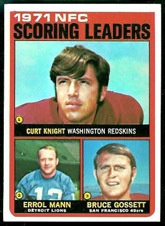 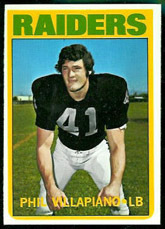 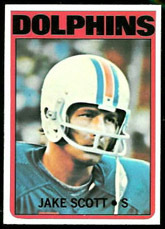 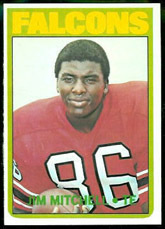 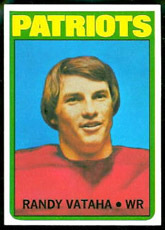 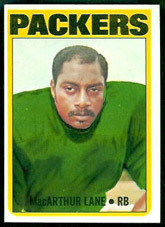 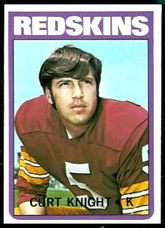 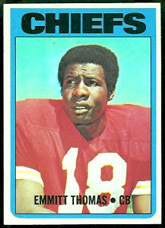 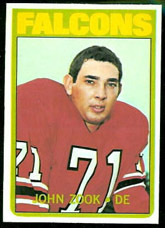 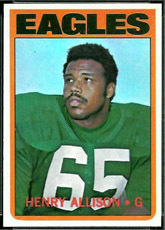 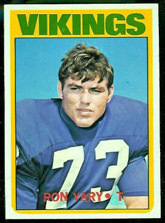 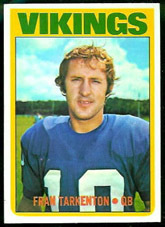 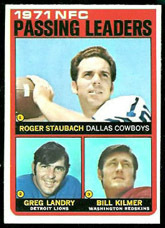 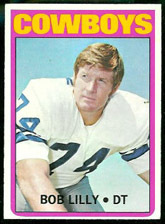 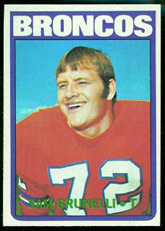 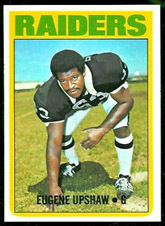 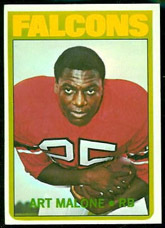 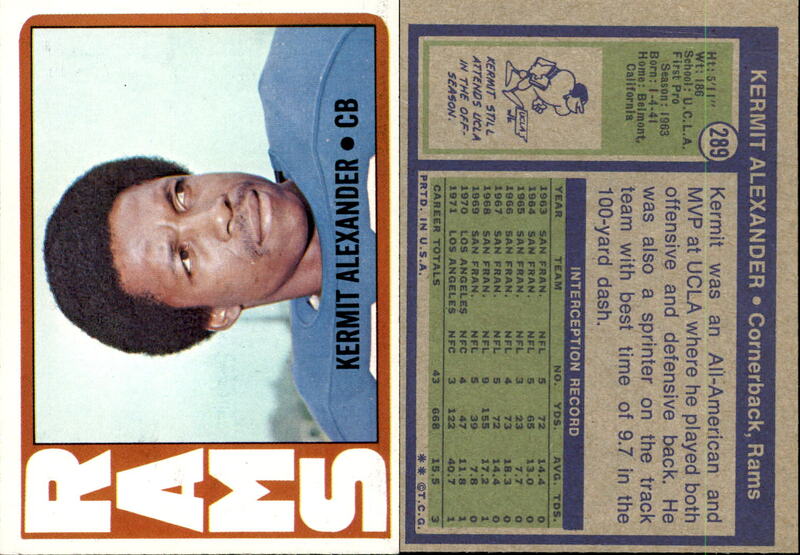 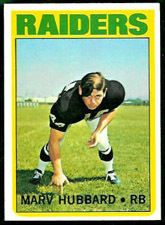 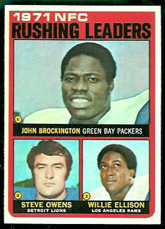 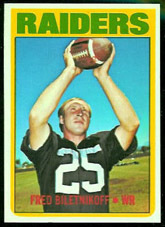 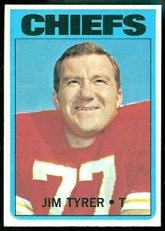 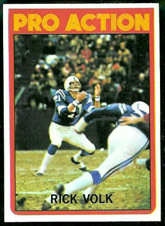 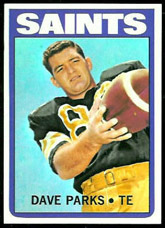 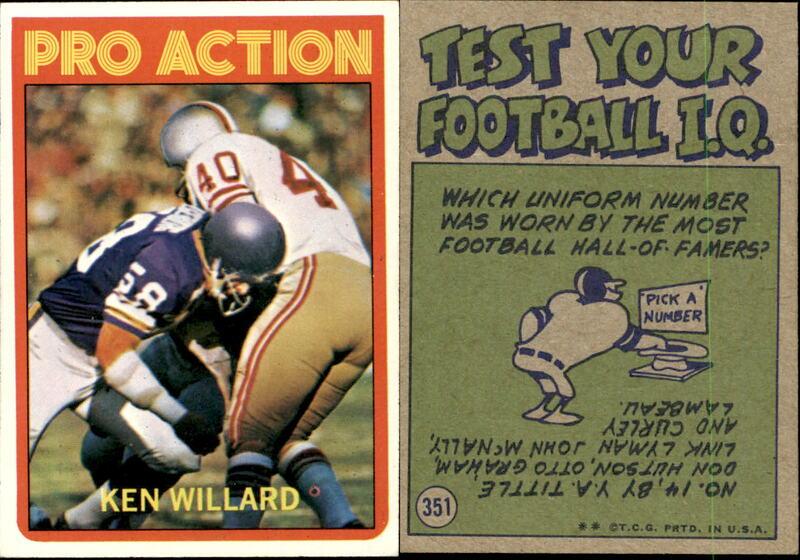 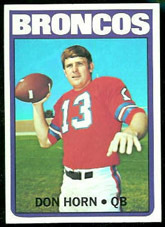 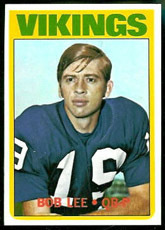 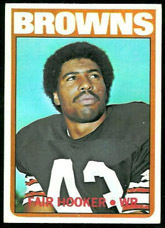 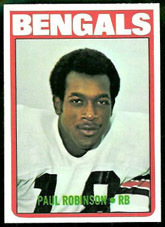 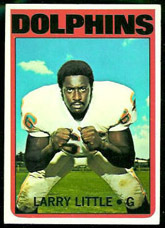 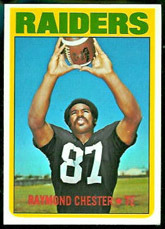 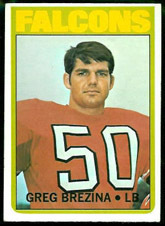 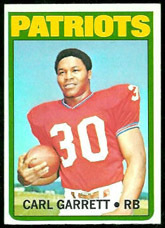 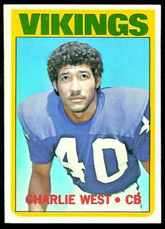 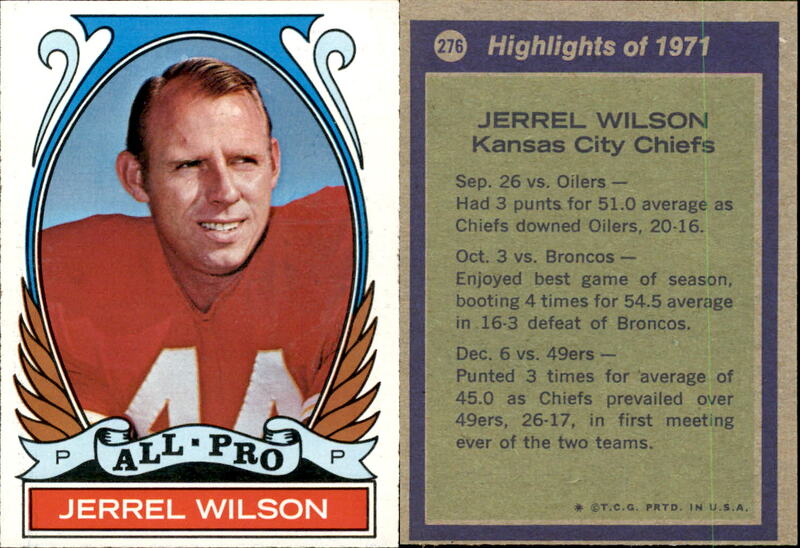 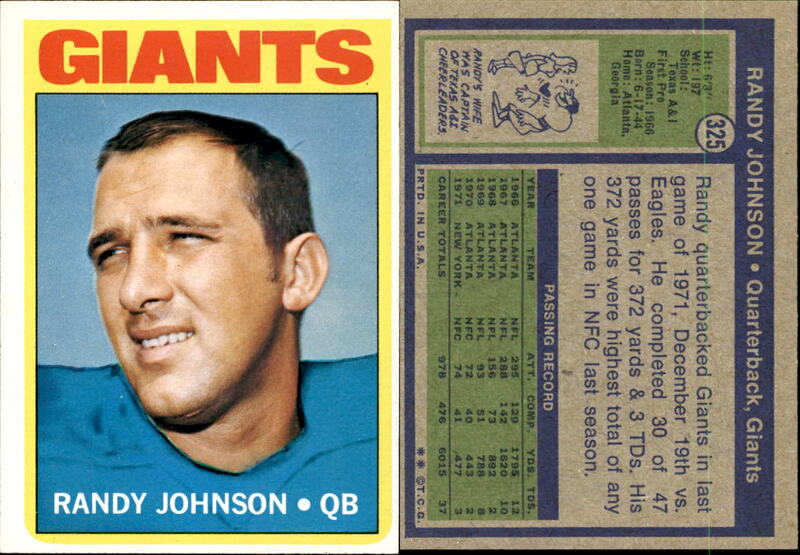 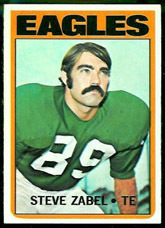 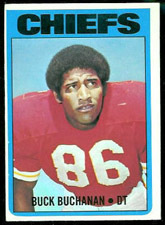 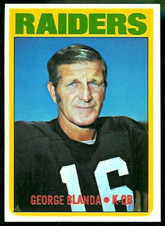 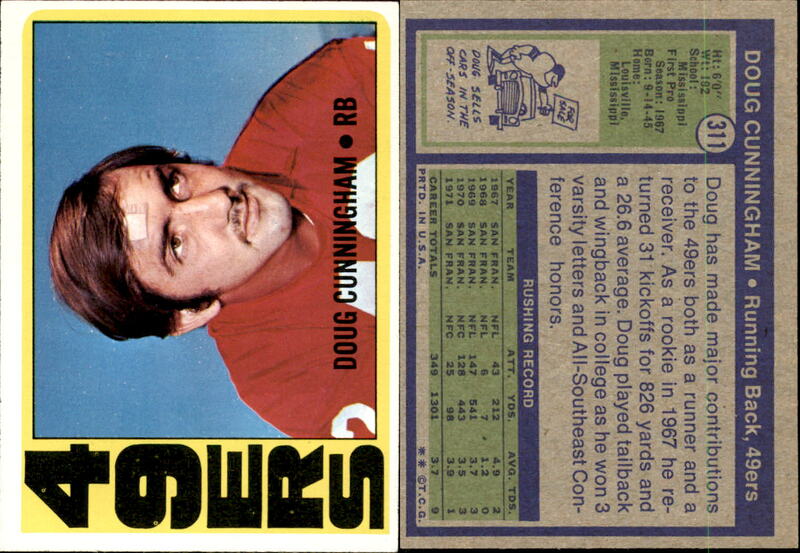 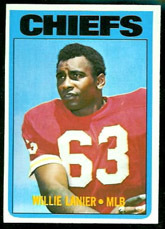 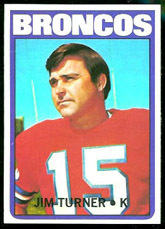 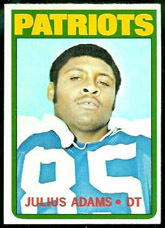 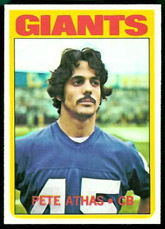 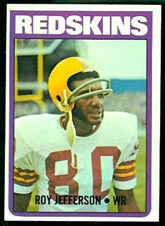 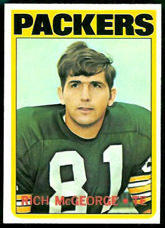 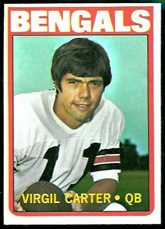 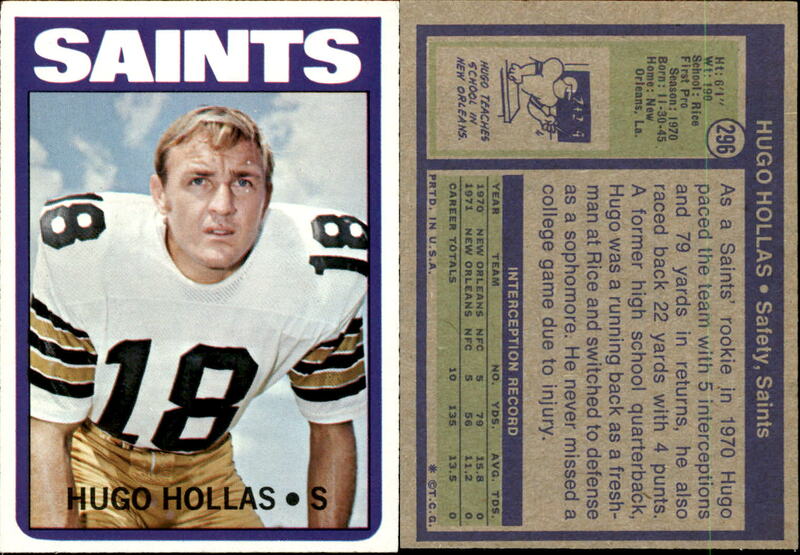 The 1972 Topps Football Card Set includes 351 standard size cards, including the very tough High Number Series (#264-351). 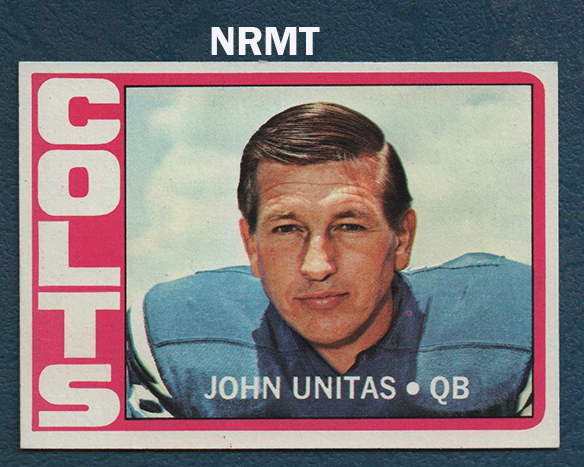 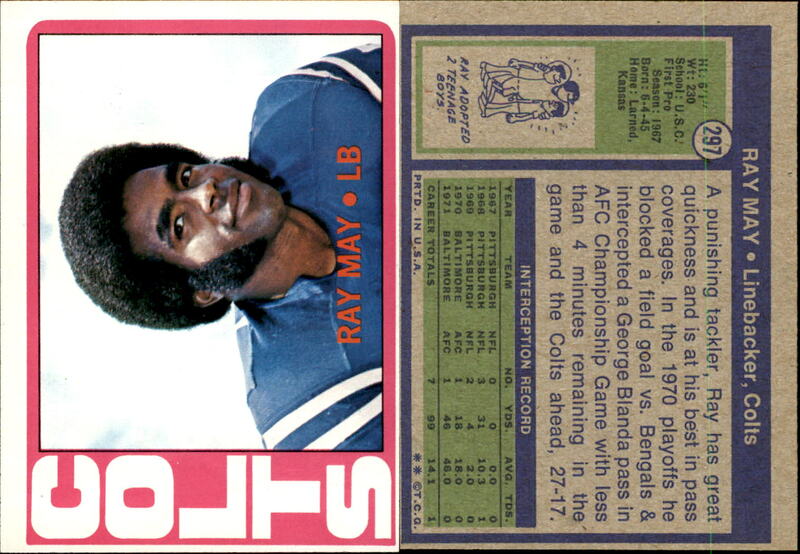 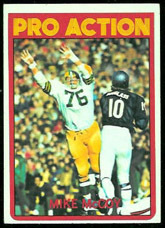 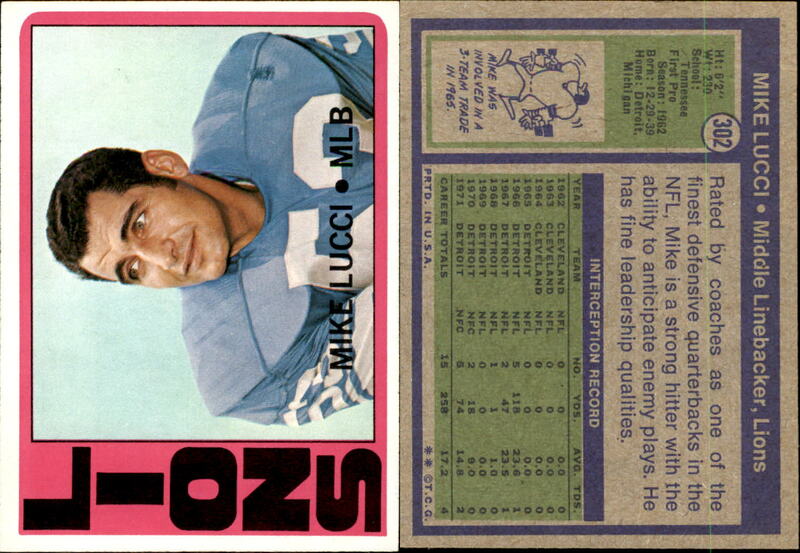 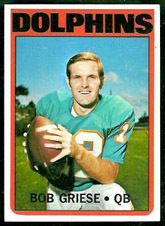 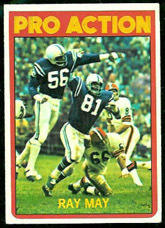 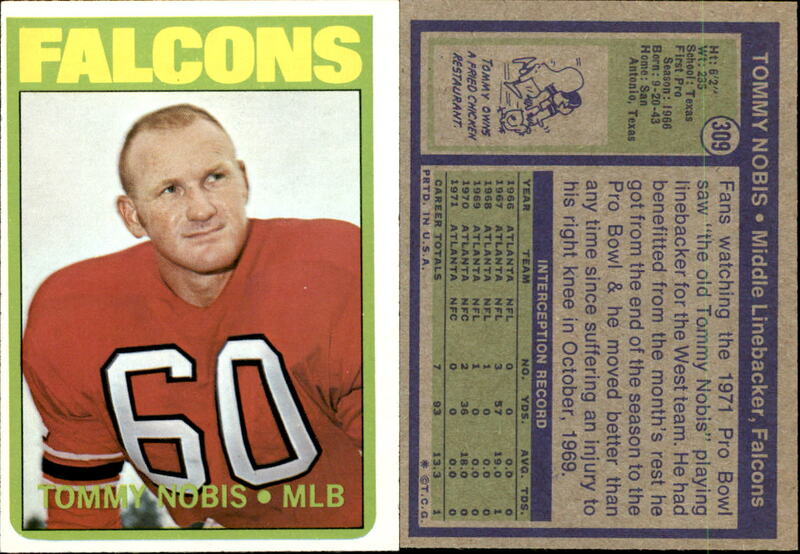 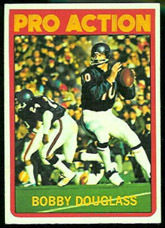 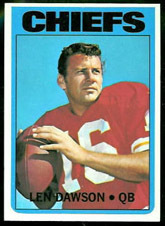 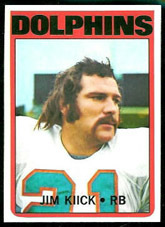 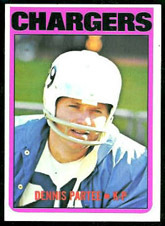 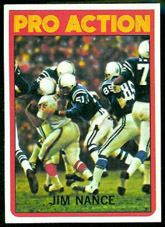 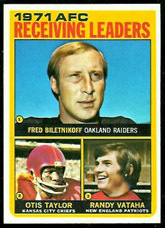 The subsets for the 1972 Topps football cards are: League Leaders (1-8), In-Action cards, 1971 Playoff Highlights (133-139) and All-Pro selections (264-287). 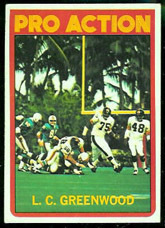 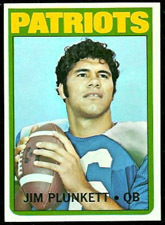 The key Rookie Cards from this set are: #13 John Riggins, #55 Archie Manning, #65 Jim Plunkett, #101 L.C. 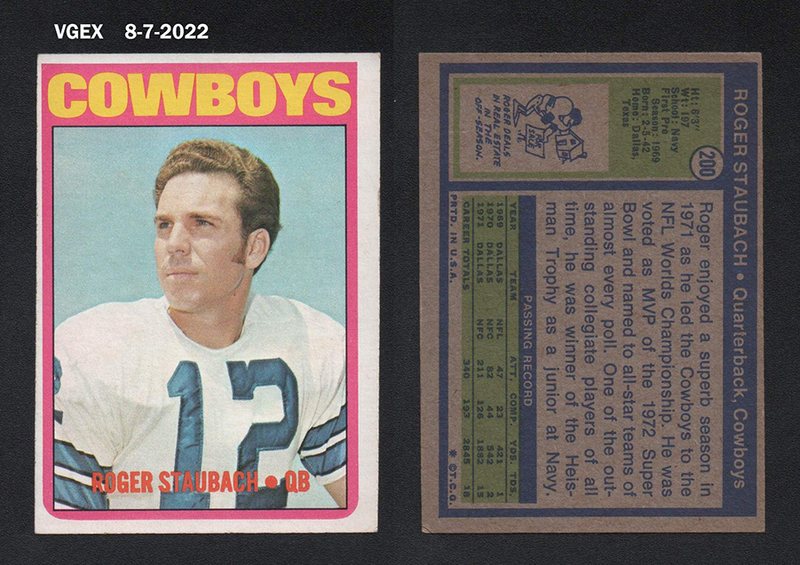 Greenwood, #186 Gene Upshaw, #200 Roger Staubach, #244 Charlie Joiner and #291 Steve Spurrier.
. To order, click on the price of the card you want. 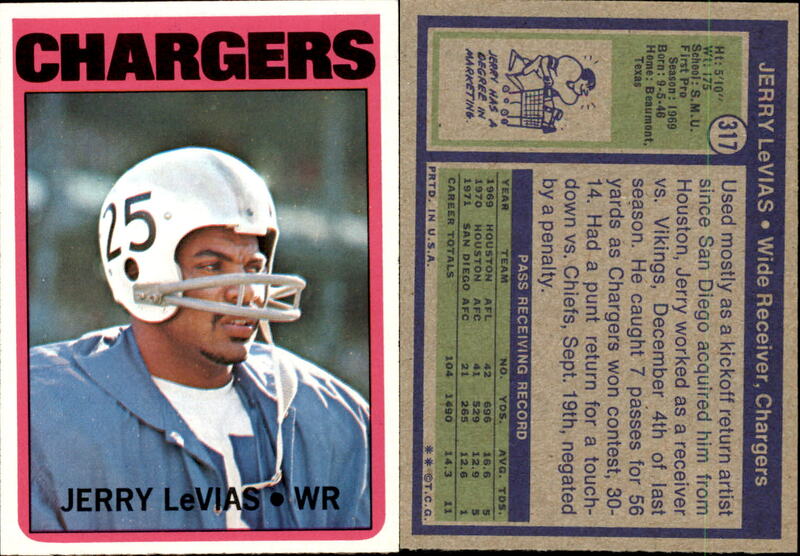 Select quantity when you go to the shopping cart. 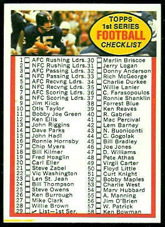 The shopping cart now works for AOL users! 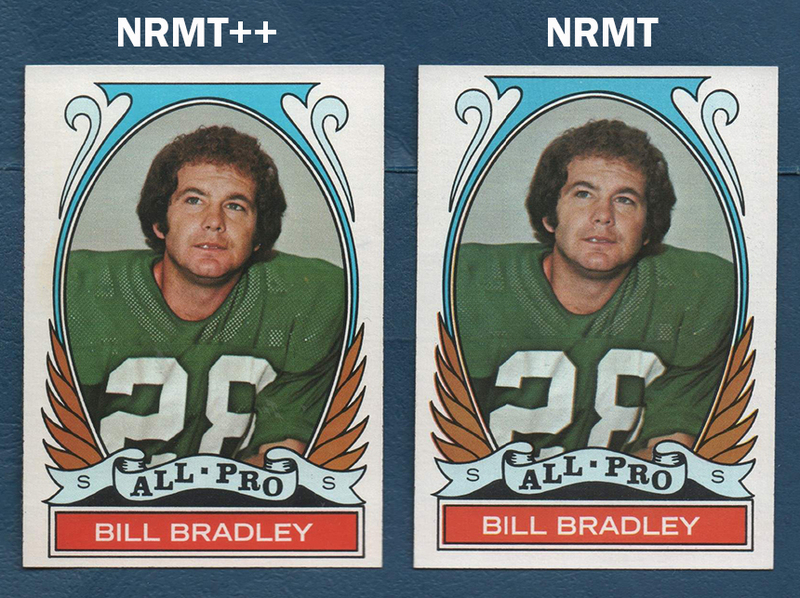 SPECIAL NOTE, RECENTLY BROKE A NRMT/MINT RUN OF HIGH NUMBERS,SOME BETTER. 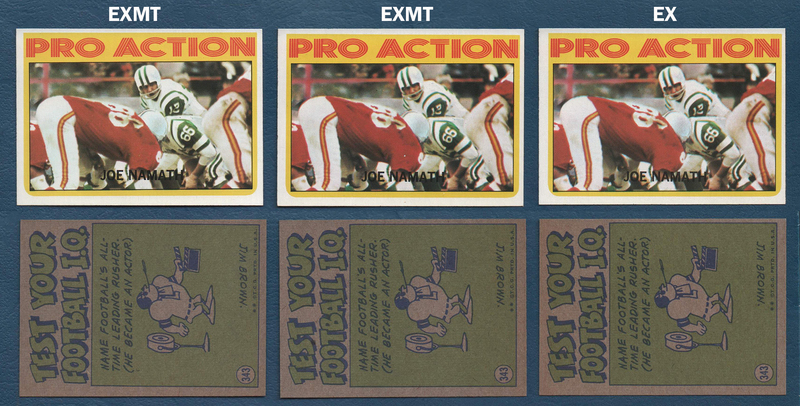 THESE ARE DESIGNATED WITH (HG) AFTER THE NUMBER AND HAVE (NMMT) BY THE NAME. 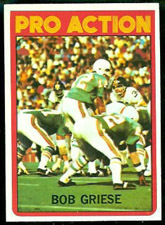 THEY ARE LISTED BELOW, AND PRICED 25% HIGHER THAN NORMAL NEAR MINTS.